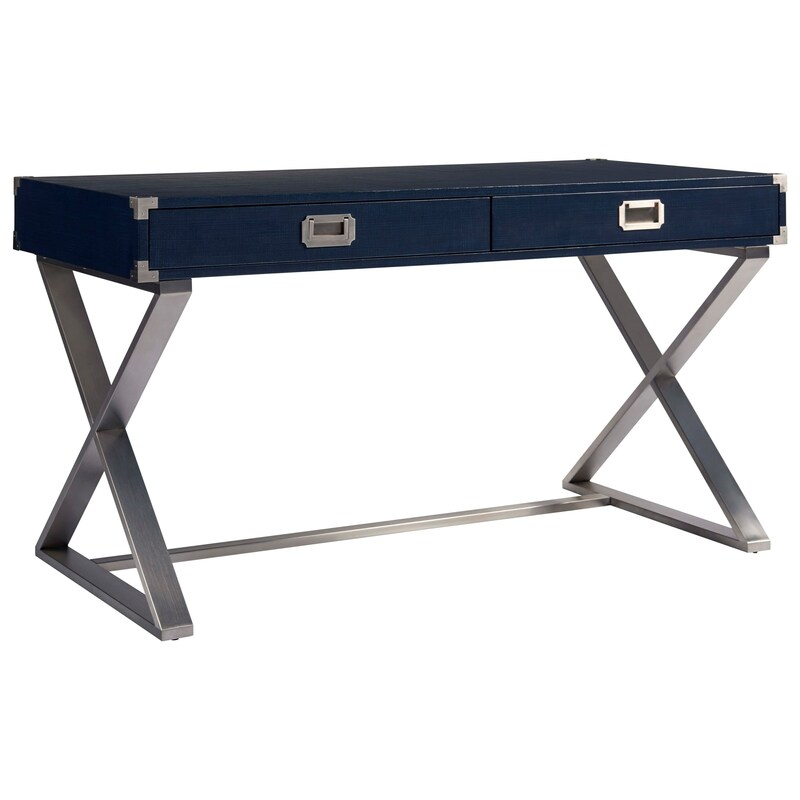 The simple yet gorgeously designed Postcard Writing Table will be a great option for your casual office or as just a convenient surface in your living space. The piece features a coastal-inspired marina finish that pairs beautifully with the silver X-shaped base ends and hardware. The Coastal Living Home - Escape Postcard 2 Drawer Writing Table by Universal at Zak's Home in the Tri-Cities, Johnson City, Tennessee area. Product availability may vary. Contact us for the most current availability on this product. Bring coastal living to your home with this whole home collection of living room, bedroom, dining room and occasional furniture. A variety of textures, materials, finishes and fabrics are all used to truly create a light and breezy atmosphere. The Coastal Living Home - Escape collection is a great option if you are looking for Casegoods and Upholstery in the Tri-Cities, Johnson City, Tennessee area. Browse other items in the Coastal Living Home - Escape collection from Zak's Home in the Tri-Cities, Johnson City, Tennessee area.